In the pilot episode of the '70s hit TV show Emergency!, sleepy paramedics in L.A. jump out of bed when the firehouse alarm goes off. Soon, they're speeding down the road in red and white fire engines and ambulances with lights flashing as the sirens wail. Some might not be able to imagine a time when ambulances acted more like taxi services to the hospital rather than a critical step to save a life. But the show brought the daring rescues and life-saving medical treatment of L.A.'s EMS workers into homes across the country, where few had seen this kind of care before. "People throughout the country were like, well, what is that? And who are they? And why don't we have that in our area?" said Cathy Chidester, the director of L.A. County EMS. 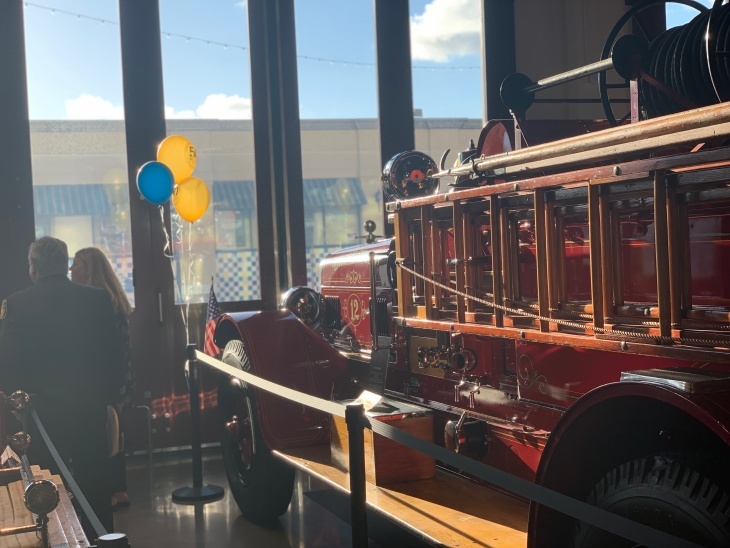 L.A. was an early pioneer in EMS care, and current and former first responders celebrated that last night at the Los Angeles County Fire Museum amid shiny red fire engines draped with blue and yellow balloons. "We're like the jewel for California, and the nation," Chidester said. But 50 years ago, the system was just getting started. 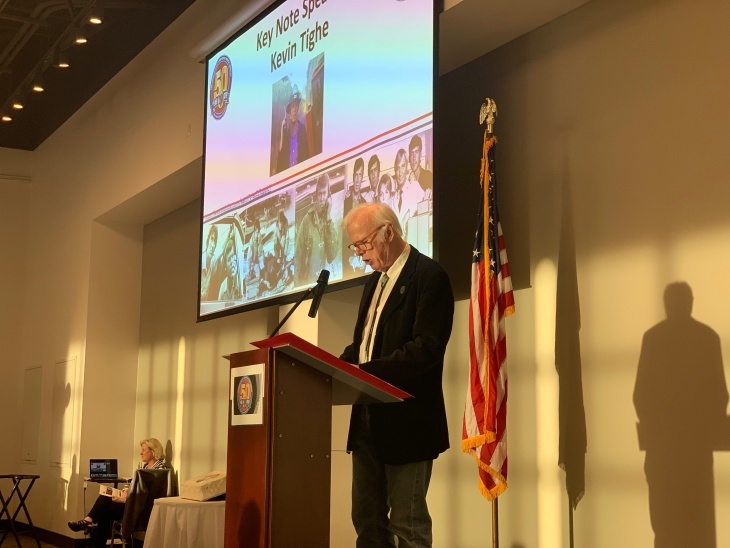 Chidester said L.A. became a role model in the creation of EMS in September of 1969, when the first group of firefighters began training as paramedics at Harbor General Hospital. In 1966, the National Academy of Sciences published a report called "Accidental Death and Disability: The Neglected Disease of Modern Society," — commonly referred to as the white paper. It contained a statistic that shocked the country: more people died in 1965 in car accidents than in the Korean War. The report said 52 million accidents had killed 107,000 people. Of that number, 49,000 were motor deaths. "The general public is insensitive to the magnitude of the problem of accidental death and injury," the report stated. It also showed that most Americans lacked basic first aid — and even firefighters and police departments didn't have critical life-saving skills to handle emergencies like a heart attack or childbirth. The report also stated that in 1965 there was no fixed definition of an ambulance. Ambulance services had no oversight by the government. Workers had a wide variety of training, and often used equipment that was untested. They didn't even exist in many neighborhoods across the country. "Local police authorities have neglected their responsibility to provide optimal emergency medical services," the report stated. Deaths from heart attacks also peaked in the mid-1960s, and heart disease became the most common cause of death in the country. According to the U.S. Department of Health, It wasn't rare for Americans to die of a heart attack in their 50s and 60s. Much of that was associated with smoking — however, there was also research that showed the lack of options to quickly treat cardiac arrest was a huge factor. Chidester said these shocking facts, combined with studies showing that patients who got help and medicine quickly had a better rate of survival, launched a nationwide effort spearheaded in L.A. County to bring better emergency care to the region. In 1969, Dr. Walter Graf started a Mobile Coronary Care Unit at Daniel Freeman Hospital in Inglewood-Centinela. It was the first time an ambulance — or "Heart Car," as it was called — was equipped with equipment like a cardiac monitor and defibrillator. The L.A. County Board of Supervisors - led by then-Supervisor Kenneth Hahn (the father of current Supervisor Janice Hahn) - also met and agreed to train all fire department personnel as paramedics. The first LA County Fire rescue unit, Squad 59, started up not long after. But they hit a speed bump. "Once they became paramedics, there were no laws to allow them to practice," Chidster said. In 1970, then-Governor Ronald Reagan signed into law the Wedworth-Townsend Paramedic Act. This became the defining legislation to allow emergency medical training certification and paramedics to administer this care. 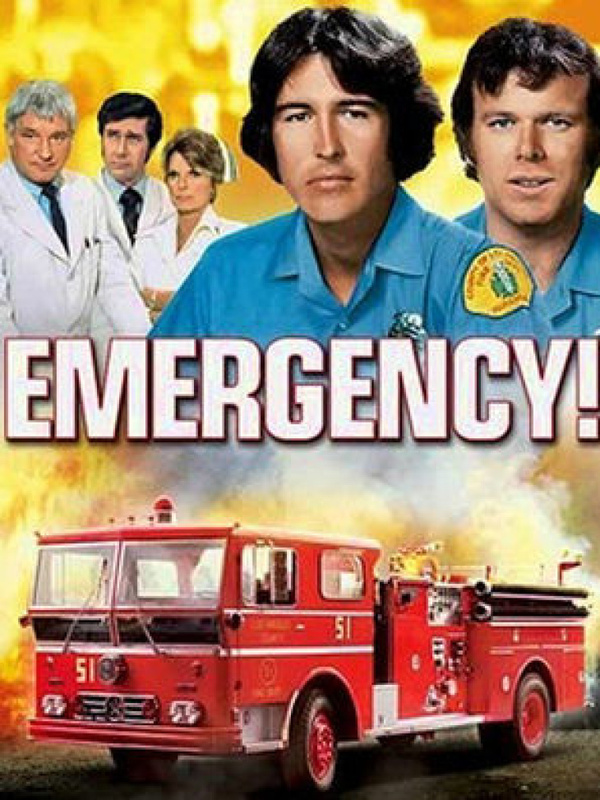 The TV show, Emergency!, premiered in 1972 and raised awareness of paramedics throughout the country. Many first responders at Thursday's event commemorating L.A.'s place in EMS history said the show inspired them to pursue the career. 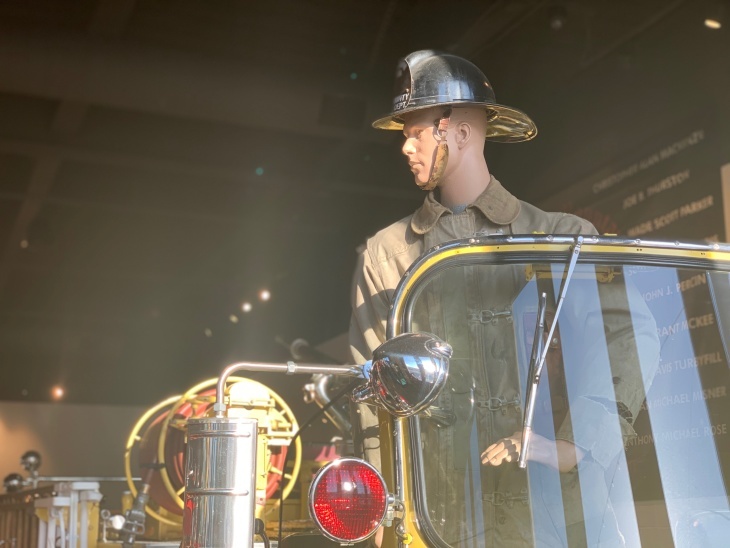 "An entire generation of firefighters for us were absolutely inspired by that show," L.A. County fire captain and information officer Tony Imbrenda said. "What little kid doesn't want to be a firefighter?" he said. "I could say I was in that same boat." The TV series used actual L.A County fire department personnel as advisors to make it look as real as possible. Imbrenda said it was shot in a "documentary style." "The personnel, the facilities, the apparatus, was all working facilities inside L.A. County Fire department," Imbrenda said. "Station 51 — which was depicted in the show — is our fire station 127 down at Carson. And it's working today as it did back in those days." That station has become something of a tourist attraction — Facebook posts show fans of Emergency! visiting the station from as far away as Germany. Actor Kevin Tighe, who played paramedic Roy DeSoto, said early on in the show, one EMS technician slipped him a few tips. "He came up to me and said, you know you gotta put the stethoscopes in your ears," he joked, to laughter from the audience filled with current and former paramedics. Cathy Chidester says new technology has expanded the options and outcomes of patients who need critical care. Equipment that was novel in the late 1960s like a defibrillator is now standard. She says modern paramedics in L.A. are better trained to recognize and respond to common emergencies like a heart attack. "The paramedics now do what we call 'provider impression', she said. " It's almost like a diagnosis. They're giving more medications, and we're actually doing research with the paramedics to get certain medicines on board for a stroke or a heart attack." Back in the early days, trauma centers designated to wheel patients suffering from cardiac arrest from the ambulance and into the operating room weren't set up. Now, that's changed. "We can get patients to certain hospitals that specialize in trauma," Chidester said. She said stroke centers and pediatric specialists are now also integral to EMS care. She said L.A. physicians and care providers are known nationally as leaders in providing emergency care. "We have lots to be proud of," she said, smiling. So what does the future hold for EMS care in L.A. County? Chidester said there's a lot in the works. The County is experimenting with a mobile stroke unit in partnership with UCLA that would enable a CAT scan machine to fit into an ambulance. "So think about that — when you've seen a CAT scan in a hospital, it's huge," Chidester said. "To be able to condense the size and then make it so the speedbumps and the potholes don't affect the CAT scan..."
She says the future of EMS is smaller, more easily transportable technology that can improve the outlook for patients on the ground. In 2019, it's nearly impossible to be anywhere in L.A. County without hearing the wail of a siren at least once. But not everyone knows what's going on inside those red flashing cars. The show, Emergency! might have been fiction, but first responders say the adrenaline depicted on TV is still very real.